Posted: Wednesday, March 30, 2016. 3:37 pm CST. 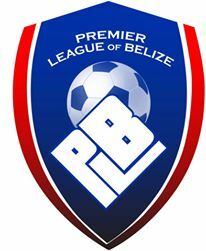 By Beverly Vernon: Tonight the Premier League of Belize (PLB) will be having its elections for a new PLB executive. It will be held at the FFB compound in Belmopan at 6:00 p.m.
PLB elections are held every 4 years. This will be the second electoral congress of the PLB since its inception in 2012. The League has been without an executive since 2013 when Ex President Maito Perdoma stepped down, bringing the executive into disarray and causing the Football Federation of Belize (FFB) to insert a normalizing committee to run the PLB. There will be nine members voting: San Ignacio United, FC Belize, Paradise Freedom Fighters, Placencia Assassins, San Felipe Barcelona, Verdes FC, Belmopan Bandits, Police United and BDF FC. The electoral committee of the FFB is not allowing Wagiya FC to vote. According to the FFB Electoral committee, Wagiya was accepted by the normalizing committee and is not a valid executive. Wagiya has protested this decision with the FFB Electoral committee but to date have not gotten a response. Currently there are two slates running for the executive seats. The five executive positions are: President, Vice President and three executive members. The first slate consists of Ian Haylock running for President, Hilberto Muschamp running for Vice President (Muschamp will be endorsed as no other person is running for that position), Godfrey Arzu, Luis Pena and Rudolph Mckoy each running for executive membership spots. The other slate consists of Reynaldo Malik (Ex General Secretary of PLB who was appointed by Ex-President Maito Perdoma) running for President, John Jones, Dale Pelayo (Host of Sports Zone on Plus TV) and Lionel Olivera (Attorney and Belize Defense Force Officer) are running for Executive members. Some congress members are questioning the legitimacy of Lionel Olivera, John Jones and Dale Pelayo as prospective members of the PLB Executive based on article 30.4 of the PLB Statutes which states, “The members of the Executive Committee shall have already been active in football, must not have been previously found guilty of a criminal offense and have residency within the territory of PLB”. The argument is that none of these men have ever been involved in football prior to putting up their names for elections. The PLB elections are very important because they are the ones responsible for setting delegates to vote on behalf of the PLB for FFB elections. The PLB holds 6 of the 20 delegates. For any aspiring FFB President and FFB executive, they would need 11 out of 20 delegates to vote for them in elections. It is said that Ian Haylock’s slate may be more compelled to support Sergio Chuc for FFB President and Reynaldo Malik’s slate is more friendly towards Ruperto Vicente for FFB President. FFB elections is scheduled for April 30th, 2016.